When I am looking for a forum post related to SQL Server, one of the junior professional is asking how to use a DO…WHILE loop is MS SQL Server. Several people wrote their opinion related to it. 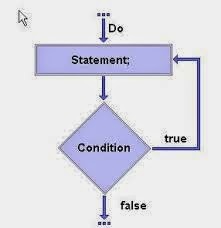 Everyone is saying to use WHILE loop and some of them suggesting with T-SQL structure of CURSOR with WHILE LOOP. Obviously, when a junior professional is learning MS SQL server, the question in mind arises: is there DO… WHILE, REPEAT … UNTIL loop present in MS SQL Server as there is in C or C++ etc? No one is answering directly on the forum whether we can use DO… WHILE or REPEAT … UNTIL in MS SQL Server or NOT. If yes, how can we implement them? First we look at the algorithm of DO… WHILE. Now we try to implement it in MS SQL Server. So we see that it is possible, but a little complicated… So most developers prefer the WHILE loop in MS SQL Server. Published at DZone with permission of Joydeep Das , DZone MVB. See the original article here.